Chris is a Senior Manager at Target in charge of external sales and partnerships for the retailer’s multi-channel digital marketing division. His current role focuses on in-store digital marketing, online, as well as emerging technologies. Chris works with agencies, brands and partners to determine how to most effectively message to Target’s affluent Guest. 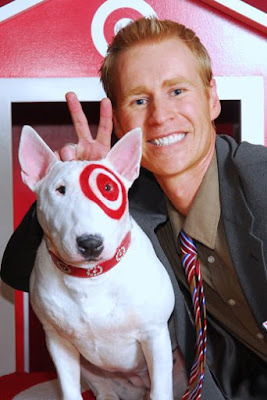 During Chris’ 10 years at Target he has held roles in Finance, Merchandising, Technology and has also managed a SuperTarget store. Prior to coming to Target, Chris spent time at West Publishing Company in a variety of Finance and Accounting roles. Chris received his MBA from the University of Minnesota focusing on Finance and IT and also has his CPA. Chris is based in Minneapolis, Minnesota. For more information about the speakers at Shopper Insights in Action 2009, please visit our speaker page. The event is the industry’s #1 event focused on driving change at retail by truly understanding shopper behavior. This is where the brightest in the retail and brand world converge to stimulate game-changing ideas through actionable case studies and uncensored peer-to-peer conversations. It tackles today’s mission-critical topics covered by those leading the charge. Topics include shopper marketing. green at retail, shopper psychology, collaboration techniques, virtual shopping, shopping trends, engagement, shopper loyalty, retail activation, shopper marketing and more. 2009 is all about CHANGE. Take control of your brand, your category and your business. We utilize advanced in store video analytics to provide merchandisers and marketing staff with customer purchase behavior patterns. We collect data on traffic count, facial detection, and stand and dwell information. We tie this data with the in store POS to calculate conversion rates by store, by aisle, by lane, by display, or by department down to the SKU. You can access live video and recorded playback remotely - all through a web browser- no downloads or client app required with POS integration. Daily, weekly, or monthly reports are auto generated. I would be happy to provide a web demo for those interested parties. Thank you.